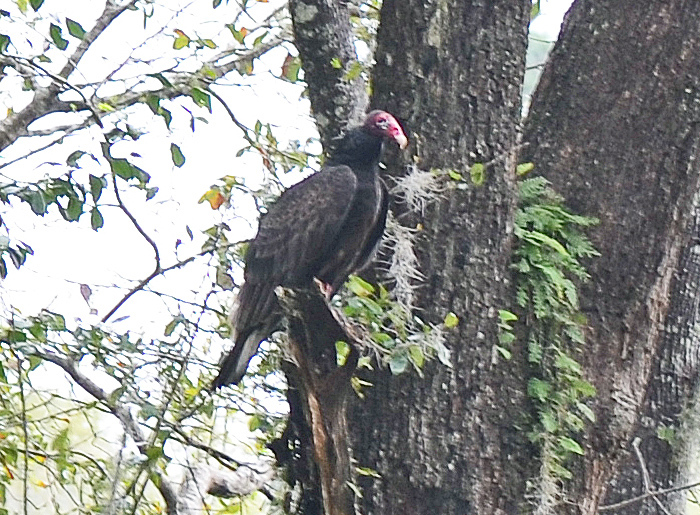 Florida is home to two vulture species: the turkey vulture (Cathartes aura, red head) and the black vulture (C. atratus, black head). They lay their eggs on the ground under cover (e.g. palmetto thickets), in hollow tree trunks, or caves. No nests are built for the usually two eggs. Vultures eat carrion in the form of road-kills or dead cattle. 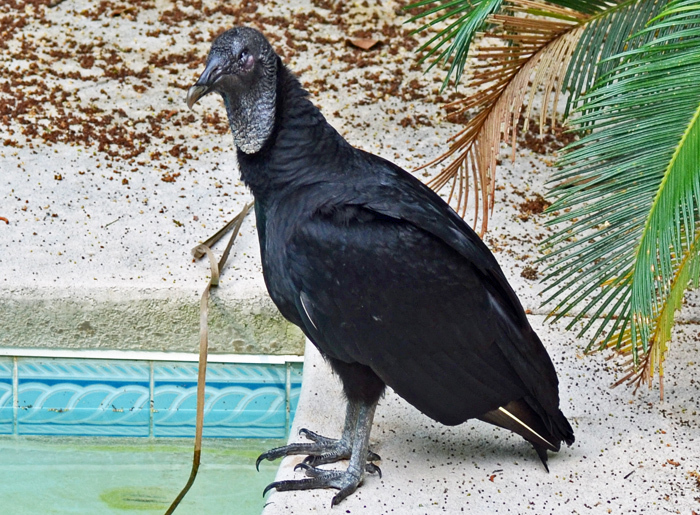 Black vultures are more aggressive and may occasionally kill or injure small or weak livestock. Vultures are under state protection.